When the time to pick a mover arrives, it is important to determine not only which goods will be shipped and which others will be sold or given away, but also picking a mover in advance and decide whether you would like the mover to pack or provide additional services. Because this will be an important decision, make sure that the mover is a licensed, bonded and insured company regulated by the state, and that you will have recourse to claim if anything goes wrong, or if during the move you are not completely satisfied with the anything the moving company supplied. 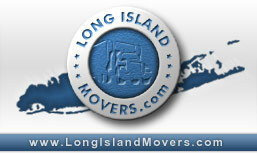 Contact the movers in your area and ask for an estimate and the right and responsibilities in their terms. Whenever it is possible, try to get involved in the estimating process asking all prospective movers how long their estimate or estimated cost of services is valid for. Always ask for a written estimate and do not just take their word for their information over the telephone; you should have the information in writing. Consider any unusual situation on your end or the mover's end. Estimated costs can be increased significantly if you are not aware and notify the moving company immediately, about problems such as road access, street accessibility, parking faculties, narrow stairway or elevators, as well as delivery time restrictions. Verify the prospective movers' license number, and ask them for references, and double check their reliability by asking people or getting in touch with your local Better Business Bureau (BBB) to find out if your prospective companies have any complaint records and how those complaints were resolved. Once you have chosen a mover, make sure to understand their terms including coverage for loss or damage of your shipment. Movers are required to provide liability at different levels for the value of all goods they transport. Knowing the amount of protection provided you might have recourse in the event of damage. Movers have to mark all items that will be shipped on a survey sheet. This helps a mover to prepare an estimate including all the charges and fees for any additional services requested. Costs can be reduced by taking off items that is why it is highly advisable to sell or throw away whatever you do not need in your new home. After a mover has made an estimate, you should inform the company about any last minute changes with your shipment so they can adjust the costs, and do not forget to ask for the delivery time and payment method, whether cash, credit card, personal check, certified check, etc. You must also know if the mover will notify you on delivery time, if you have to pay on delivery or an up-front fee, and if the mover's crew will disassemble all your items on departure and then if they will reassemble them at the destination. Once again, additional cost may apply on assembly and packaging. At your request, such boxes can be re-packed by the mover, but additional charges will apply. Review that all the items to be moved appear on the survey sheet before you sign it, and do not hesitate to make a note on this inventory sheet, if you observe any exterior damage on your boxes at the delivery. Invest 6 to 8 weeks of your time in selecting a mover, check references, and determine the services you will need from the company, including possible storage and insurance. Make an inventory of the items that will go with you, and those that will go out, schedule pick up and delivery, establish a solid communication with the mover, to guarantee a successful move.